Increase Footfall, Boost Your Sales Today! 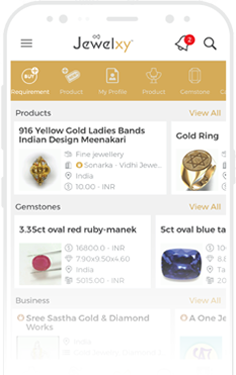 Jewelxy makes it quicker and easier for you to advertise your business online, attract more customers to visit your retail showroom and drive business growth. Get your own customized business website and mobile app, build trust and credibility of your brand. Instantly update catalog online, enhance customers buying experiences and increase sales opportunities. Get your business discovered online, rank high on search engines and directly reach potential customers. Enable access to your business Information from anywhere at anytime and generate sales leads. Promote your business online, get more customers into your retail store and boost sales revenue. Get Your Own Jewelry Business Website & Application in Just 24 Hours!